Peppa Pig's Alphaphonics Campervan helps you learn the phonetic sounds of each letter by listening and repeating after Peppa. The Alphaphonics Campervan features all sorts of great games to help learn letters and words. Move the slider across the top to select from eight spelling games - find the missing letter, choose the word that begins with a letter, or repeat what Peppa says, there are a variety of fun ways to learn. 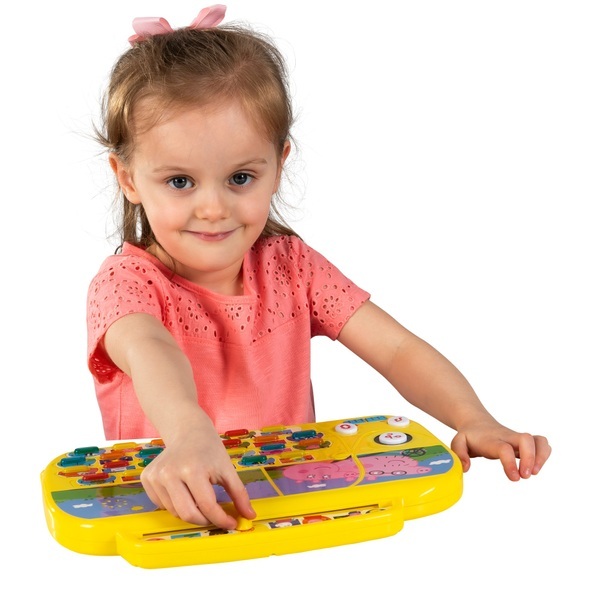 With easy-to-press light-up keys and melodies, the Alphaphonics Campervan is sure to excite and inspire your little ones to learn.